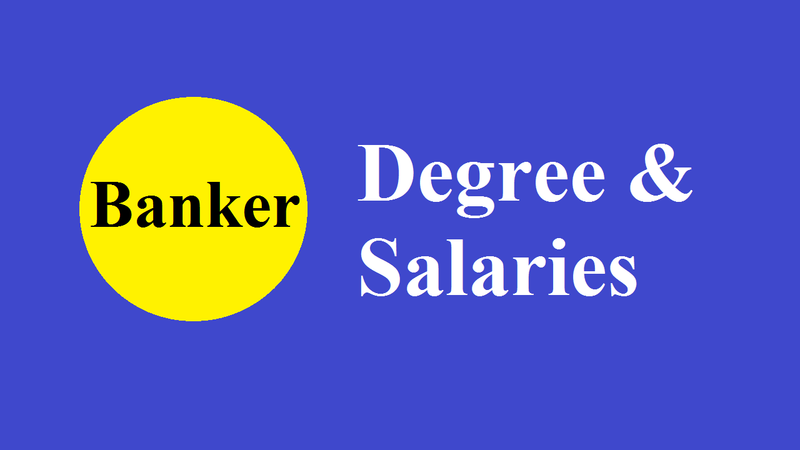 If you’re looking to learning how to become a banker in Bangladesh then you need a various education and career requirements, and experience to starting a career as a banker. Developing country like Bangladesh has a huge prospect of banking career nowadays. Facilitating the young generation to come forward and work for them to increase the development rate of Bangladesh with a number of banks is there both in government and private sectors. As there is the rapid growth of economics in this country, that’s encouraging a lot of youth souls to get engaged in this sector. So, if you want to build your career in banking sector then you need determination, choosing the right educational degree, getting necessary internship or experience after completion of the degree etc. Although the job is hard and laborious, the outcome is really worth. As Bangladesh has a lot of private banks and also getting the approval of the new ones, they are creating numerous jobs in banking sector every year. Currently, the salary ranges for the banker in Bangladesh are good enough compared to other jobs in the private sectors. Also, the bankers get the highest advantages than other private job holders in the country. These all attract young people to get a job in the banking sector in Bangladesh. Apart from these, the financial industry employs many different types of bankers, including personal, commercial, and investment banking. They all must serve the financial needs of their clients while the roles and responsibilities of these bankers may differ. Along with these, there are many other reasons that bank jobs are one of the first choices of young people of Bangladesh. As it’s said already a banker in Bangladesh gets a good amount of salary along with other benefits. For these salaries, a banker should need some specific qualification and experience with hard work. Also, you have to do a hard work when you’re in a bank job. For example, when clients are opening small business accounts and overseeing financial transactions, such as sending money orders and handling deposits, personal bankers may work one-on-one. On the other hand, while investment bankers connect financiers with possible investment opportunities, commercial bankers process loans to prospective entrepreneurs. And especially for investment bankers, overtime and travel are often involved in these jobs. Now, let’s know about the starting salaries and required degrees for this job. If you want to become a banker in Bangladesh, you need advanced education, formal certification, and a firm determination. And it’s notable that we’re talking about the highest degree in accounting, like MBA, MA with Honors degrees. And the prospective bankers need to answer a number of questions along the way whether they possess the qualities needed to become a banker. Those who are interested in a career as a banker, this comprehensive guide are designed to be a resource for them. Well, let’s know the steps to become a banker in Bangladesh. Although the best chance to build a banking career is to have a Bachelors’ degree in Business Administration (BBA), from other academic backgrounds there is a strong competency as well. What you have to do in this case is to build your basic knowledge and ideas about banking and related events. You can easily apply for a bank job if there is an advertisement from the Banks, after completing BBA/MBA or Master Degree from any reputed university. So, if you have to keep your eyes open then you will be able to grab the opportunity the soonest it comes in your sight. But, keep in mind that applying is not the only criteria to get a job and it’s just a way to make an opportunity. As you have to be well prepared for their examinations, you can consult many sample books available in the market regarding Bank Examinations. You can be in touch with the national daily newspapers as well as bank websites for the latest information about the banks. Also, you’ll get all the latest information and news about the banks of Bangladesh from many sources to minimize your searching hassle. If you simply browse the sites then you surely will have a glimpse over the ongoing events about the banks. In concern to become a banker in Bangladesh, there is another way you can build your career. And that’s BIBM (Bangladesh Institute of Bank Management), which is a training institute specialized in the banking sector. The location of the institute is in Mirpur, Dhaka and every year a limited number of students sat for admission test in BIBM. Around fifty students are selected for the training in the institute after a hard competition. When you pass this one-year long program, it doesn’t remain difficult at all to get a very good job in any bank of Bangladesh. Although this is in the final step, it’s so important to become a banker in Bangladesh. And that’s to be more focused and being consistent with your work. Also, you should have good organizational power and communication skill to survive and to become successful in the banking sector. Moreover, it would be impressive when you have emergency situation management and client handling skills. In addition, your work is half done if you can present yourself impressively. Finally, success will just be a matter of time if you’re sincere in your work.